*Editor’s Note: This article is part of the “Story Behind the Story” series featuring first place 2018 AAEA Communication award winners. Click here to read the full award-winning article. For a long time living on the east coast was a disadvantage as a writer in the western lifestyle market. It was difficult to persuade the editors of western equine magazines that there were authentic lifestyle stories east of the Mississippi. Overt time I’ve established meaningful relationships with the editors who have come to trust my judgement of subjects who would make the right fit for their publication. The authenticity and unique angle of “Green Mountain Grown” truly set this story apart from others. The fact that this family maintains a herd of 900 horses and uses horses to perform all the work on the ranch is a rarity on the east coast. That hook sold the story to the editor. The idea for the article came from a friend who boards my horse at his barn. Each week he and his fiancé make the hour and a half trip to Vermont to compete in the Pond Hill Rodeo. We often talk about the various magazines I write for and the current projects I’m working on. He described this multi-generational ranch located in the rolling Vermont mountains. 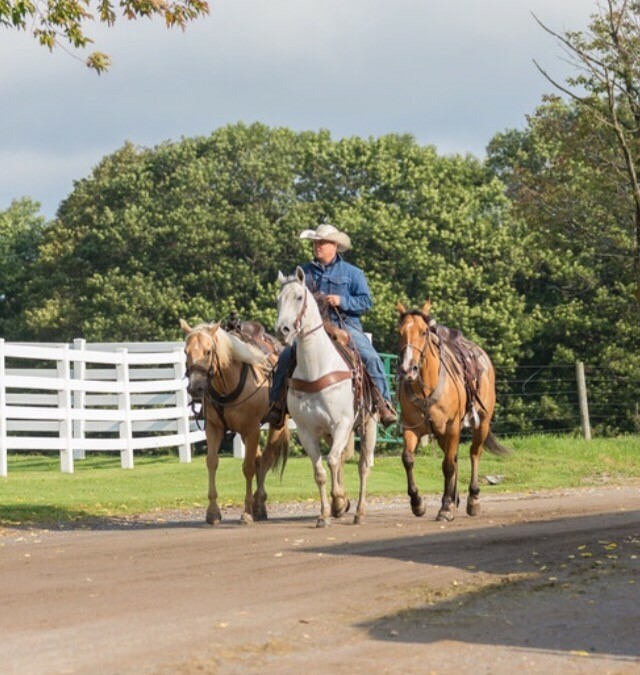 The size of the ranch (900+ acres), the family’s commitment to living the western lifestyle and the fact that they were located on the east coast offered a unique perspective. A team approach was key to creating a story that became an award-winning story. Western Horseman is as committed to excellent photography as much as outstanding storytelling. The editor contracted the talented western photographer, Kim Stone, to shoot the photos. That allowed me to solely focus on the interviews, the on-site reporting and the storytelling. Multiple in-person visits were critical to telling this family’s story. On the first trip I spent nearly an entire day on-site watching the family work. I could see which family member took a special interest in each niche and how they all came together in other areas. From watching the younger cowboys drive the camp horses out of the mountains and into a corral to pushing bulls out of hillside pastures to holding pens and work as pick-up riders in the rodeo, I got an up-close look at daily life at the ranch. Attending one of the rodeo’s gave me a good sense for the energy brewing among the exhibitors and spectators alike. During each trip I chatted with customers paying for trail rides, exhibitors entered in the rodeo and clients shopping for a new horse. That unexpected, organic commentary added a lot of color to the story. The most exhilarating part of this project was the level of flexibility the editor provided. It taught me the importance of paying attention to all the senses and the art of recreating a scene to guide the readers through the story. It was an opportunity to move beyond straight news reporting and tap into the creativity that flows from a narrative approach.